Let me remind some very basic scientific facts to the evaluators. When any science is in nascent stage, we must make many assumptions based on best available information, observations and interpretation of the observations. Chances are some of them are wrong, most of them or non-fatal errors or quickly discovered. But one or two fatal (e.g. Earth is static at the Center) errors goes undetected for decades or even centuries. The fatal errors take the scientific research in wrong direction. Let me give you an analogy, if you last your 100 caret diamond ring at office (e.g. it hitchhiked in your coat pocket without your knowledge, and your secretary fond a box on the floor near your chair and put it in your desk) but you assumed you lost it at home. Even if you hire ten thousand people to destroy and search your house for a year, you can’t find the diamond, because you made a fatal error. The science is also like that. If mankind makes an error, it is Unforgiving and ruthless. Using brute force only leads to scientific crisis. Almost every major scientific field under gone such scientific crisis due to a fatal error and later scientific revolution after discovering the fatal error. A real life example is, western philosophers (i.e. scientists) erroneously believed that the Earth is static at the center. The detection of fatal error puts the scientific advancement on the right track, which enables the progress of the field on right direction for next scientific breakthroughs. No more meaningful scientific advancement is possible without discovering the fatal error. Mankind knows that doing research in the right directions leads to discovery of the scientific breakthroughs, although it is nearly impossible to predict future breakthroughs until they are discovered. For example, neither Kepler nor Galileo predicted Newton’s discoveries, when they were advocating heliocentric model. 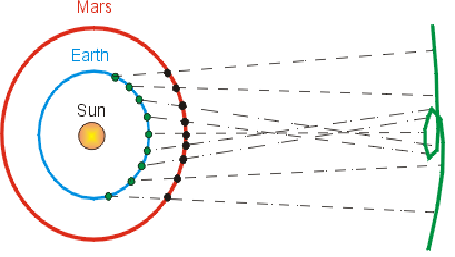 For example, assume that the first figure shows planetary motion observed for 50 years based on Geocentric model (e.g. created by employing tens of thousands of astronomers for 50 years). 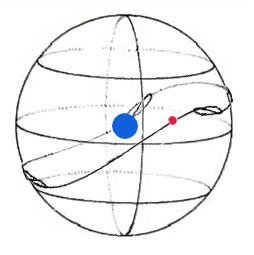 This kind brute force has very little value, because it can’t be used to predict planetary position even after one year. This is because the map was based on relative positions of the Earth and each Planet with respect to the Sun for past 50 years (but erroneously assuming that the Earth is static). For example, may be all the planets were same side of the Sun 50 years ago (see FIG-4), but now they are opposite side of the Sun relative to the Earth. Many other factors such as not knowing the relative tilt in the axis for rotation of the Earth (see FIG-5) or elliptical orbits makes it impossible to predict location of any planet one year from now using the maps. 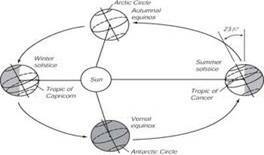 The discovery of the error in the geocentric model put the scientific research in right path for advancement. Without discovering right axioms, it is impossible to make scientific breakthroughs such as Gravitation or Newton’s laws of motion (if planetary paths appear to be random having inexplicable retrograde-motion). Therefore, no meaningful scientific advancement is possible until such errors in basic axioms are discovered. Now the computer science is like that. The software researchers made a fatal error 40 years ago by assuming any kind of useful software parts are components. Then defined flying (CBD) is flapping fake wings (i.e. fake components). No meaningful scientific advancement is possible without detecting this error. The computer science and especially software engineering can’t overcome the crisis until discovering the error, even if it takes a thousand years. Conclusion: Errors in basic axioms (i.e. premise 'the Earth is static at center') resulted in taking research in a wrong direction & caused a huge scientific crisis. Discovering the errors put the research on a right track. Traveling in the right track obviously lead to scientific breakthroughs. Each of the seminal or acclaimed research works on retrograde motion or epicycles was based on impeccable reasoning and compelling conclusions backed by irrefutable empirical evidence. Any scientist, researcher or expert of the field (i.e. astronomy) standing on the Earth can easily verify retrograde motion of planets. Now we all know what went wrong. Can computer science afford to repeat this kind of mistake again by not properly verifying each of the basic premises (e.g. seed postulations, which obviously contradict many known facts related to the physical-components/real-CBD)? The following summarizes a brief argument for a layman or an impartial judge having common sense for exposing basic errors in the CBSE/CBSD. I am sure almost every researcher generally agrees that the first set of axioms accurately summarizes the current state of the software-components and CBD for the software. If any expert disagrees, I respectfully challenge him to provide a more accurate summary for the today’s state of CBSD/CBSE. The second set of the axioms accurately summarizes the facts about the true CBD and true components, which are not yet discovered by the software industry. I am sure almost every researcher agrees that the second set never even crossed their mind in the context of the software. When challenged to show a flaw, many experts conceded that the axioms in the second set is accurate in the context of the physical-components/CBD. Is it impossible to discover hidden nature or accurately describe universal property of the physical components (e.g. using simple expression in the web-page)? Once the hidden universal property is discovered, why is it impossible to create software components having the property of the physical components? As illustrated in FIG-1, why can’t artificial beings that are free from all limitations and bound by no restraints (so can have countless states or forms etc.) imitate the highly restricted physical beings (that must conform to certain forms or states)? Of course, I agree there may be million ways to not get it right, if the essential properties/nature of the components is unknown. The experts believe 'A' is true, but we can prove 'B' is true (only one of them can be true). If 'B' is true, 'A' can’t be true & if 'A' is true, 'B' can’t be true (e.g. 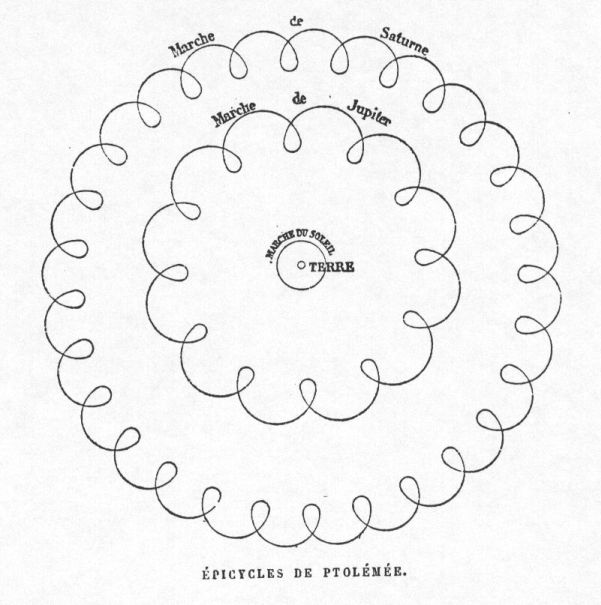 If geocentric-model is true, heliocentric-model can’t be true. 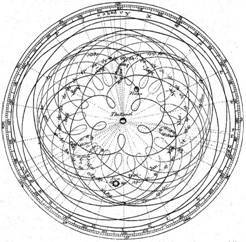 If heliocentric-model is true, geocentric-model can’t be true). What is the representative characteristic of a quintessential CBD for the physical-products? What is the distinguishable characteristic for recognizing the physical-products designed using the CBD-process? In other words, how do mankind determine weather a physical products is designed using the CBD or without using the CBD? The answer is one looks for finding hierarchy of replaceable components (i.e. logical CBD-structure) in each of the physical-products. Is it hard to understand why the scientists (known as philosophers) in the Dark Ages were absolutely confident that the Earth is static? They not only had been living all their lives on the Earth but also many generations before them lived for thousands of years also documented that the Earth is static. On the other hand, how any one can understand, if respected software scientists refuse to accept obvious facts, verify contradictions or provide any valid support to obviously erroneous seed premise/axiom, by ignoring even the basic scientific principles (e.g. by insulting me for not accepting silly and baseless excuses)? It really makes me wonder, who are really in the Dark Age? Understandably the notion that the earth is moving offended common sense of experts in the Dark Ages. Many experts even today feel offended, if we insist that (i) it is an error to define any other kind of software parts as a kind of software components, and (ii) it is an error to define each kind of CBSD is using a kind of such software parts (i.e. fake components). We can prove that it is possible to invent real software components that are equivalent to the physical components, where the real software components are very unique kind of software parts having very specific properties for enabling the real CBD (that employs a process logically similar to the CBD-process for achieving a structure logically similar to CBD-structure).